We ask a lot of our eyeliner. It needs to go on with ease, stay on with strength, and come off with makeup remover without making us pull and tug at our sensitive eye area. Plus, if you’re going past your usual lining the top lash line for a fancier look like the cat eye, you need some serious precision. Not all eyeliners are up to the task at hand, which is why when we find one that is, we can’t help but gush over it a bit. 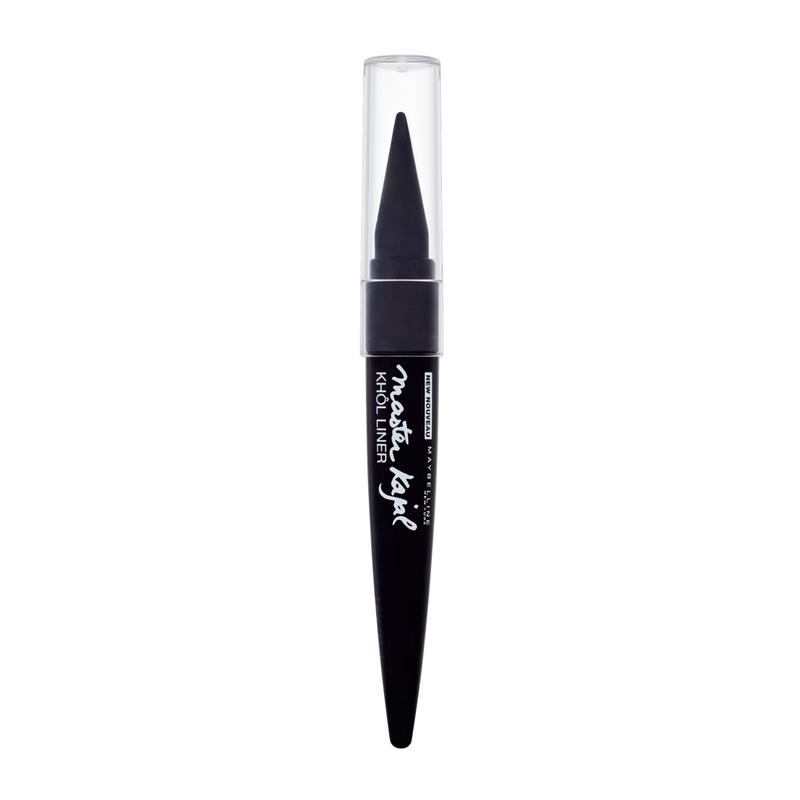 Enter Maybelline’s newest Master Kajal eyeliner, a cream crayon liner out in July, that really gets the job done. The shape of the crayon is perfect for getting a thin or thick line, depending on which you prefer. Hold the eyeliner horizontally for the perfect application. The liner absolutely doesn’t budge once it’s on. Applying the kajal liner combines the ease of pencil liner with the precision of liquid, but adds in the gentle glide of a crayon. Essentially, it’s everything you ever wanted in an eyeliner. From the innovative shape to the quality staying power, it’s rare to meet an eyeliner we love as much as we do with the kajal. Plus, you don’t need a sharpener and you never need to twist up, so the crayon won’t break in your hands.